The welcome mat is out and everyone is invited! 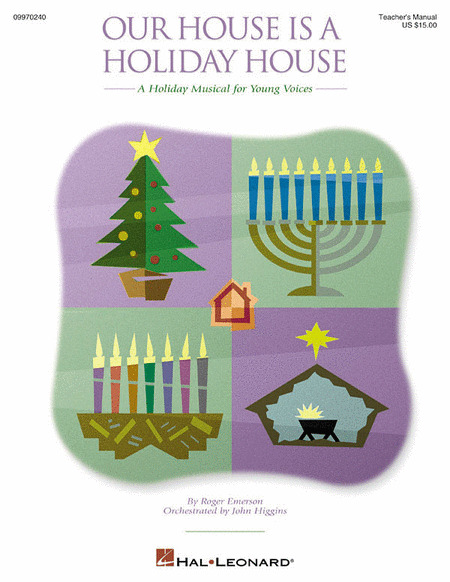 From candles burning and carolers singing to a fifteen foot buffet and jingle bells ringing, share the traditions of the season with this charming 15-minute holiday musical for primary grades. Five original songs and clever rhyming narration allow for easy preparation and limited rehearsal time. The Teacher's Manual features full piano/vocal arrangements, narration and staging suggestions, and the handy Reproducible Pak comes complete with vocal lines, lyric sheets and narration ... everything your stars on stage need to present a wonderful show for family and friends. Use the professionally produced orchestration by John Higgins on the performance/accompaniment CD for extra seasonal sparkle! Receive all three components in the handy Classroom Kit for dollar-stretching value. Performance Time: 15 minutes. For Gr. K-4.